The mission to bring back New York to Jakarta is now accomplished. Chef Adhika Maxi introduces his crowd at his newly opened Union Deli with great sandwiches and delicious pies. The long wait for the revitalized eastern section of Grand Indonesia was finally over and it unveils exciting surprises for those who cannot escape the enchantment of shopping malls. Among the newly introduced charm on this part of the mall, there’s one particular restaurant that is quickly gathering the attention of urban foodies with only the name that it carries. Union Deli. 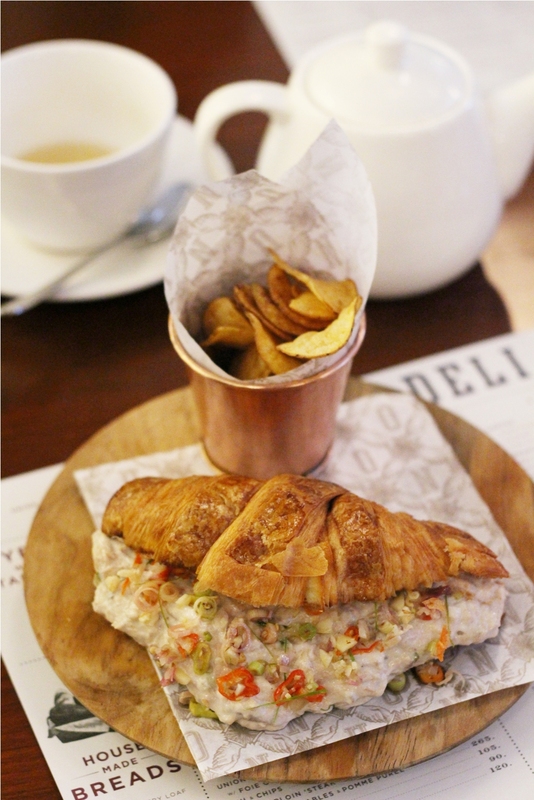 Yes, it’s the continuation of success from the already famous Union at Plaza Senayan and Pondok Indah Mall, but this one caters the more whimsical side of Chef Adhika Maxi from his experience back in the Big Apple with an extreme fondness of anything deli. Thus, the sandwiches suddenly fill up the menu as the main cast. Meanwhile his wife, the pastry prodigy Karen Carlotta, who has been magnetizing the sweet tooths with her popular the classic red velvet cake since Union first opened, now returns strong with her beautiful pies that put us all in a dilemmatic question of “Which one first, the sandwich or the pie?” as one might ponder. When I finally met again Adhika, the jolly look on his face can be seen immediately. Business was good even when it just got opened and as can also be seen from the never ending queue of crowd. Many would wait to be seated, but some would settle with anything that they can have for takeaway from the freshly baked bread counter up front. It’s a win-win solution apparently. From the danish to doughnut and then croissants. All were lovingly made and baked fresh from the oven. “With this, we are also proud to announce that we have our own pastry studio now and ready to cater wider range”, said Adhika. So, what about the sandwich then? 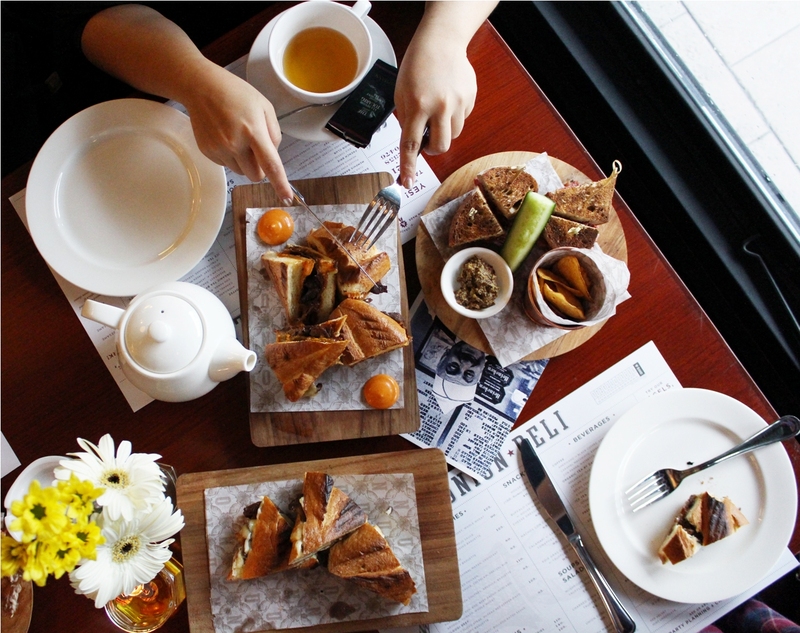 “I was hoping that one day people could thoroughly enjoy only and only the sandwiches. This will be a proving ground to the “Deli” concept that we are currently promoting”, continued the chef while also informing me that he’s more than confident to introduce the delightful pastrami as a start. 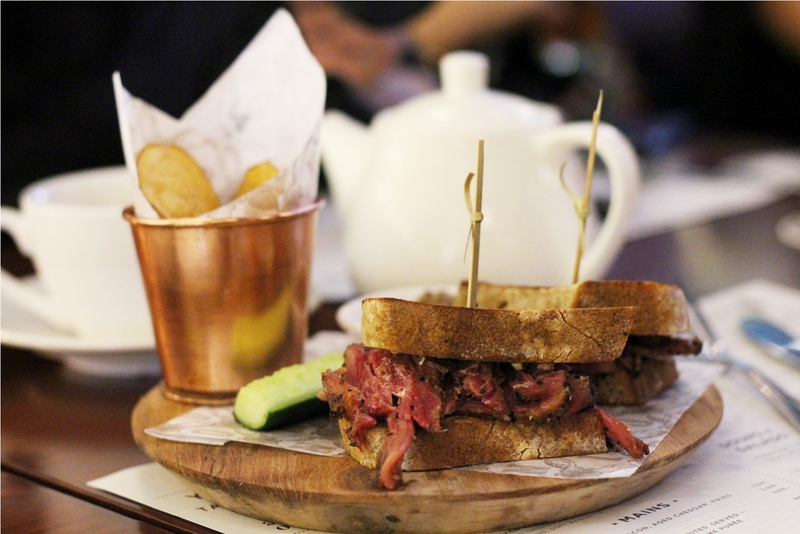 With a week-long process to achieve the definition of good pastrami, Union Deli serves it with utmost pride and joy. It came with a choice for classic sandwich or a plate of exquisite fried rice, all up to your mood. The pastrami itself has a complex character that retains its juiciness, tenderness, and smokiness but all nicely brined and seasoned. I quickly imagined myself standing in front of a busy counter of a New York delicatessen munching the pastrami paired with a toast whole wheat bread, the seedy and savory mustard, and pickled cucumber upon savoring it. Other fine selections from the sandwich section that I thoroughly enjoyed were the spicy tuna sandwich with sambal matah and also the sweet and indulging bulgogi sandwich. You can’t go wrong with Asian influence nowadays and it would be a feast to have Indonesian, Korean, and Jewish flavors on the table at the same time. 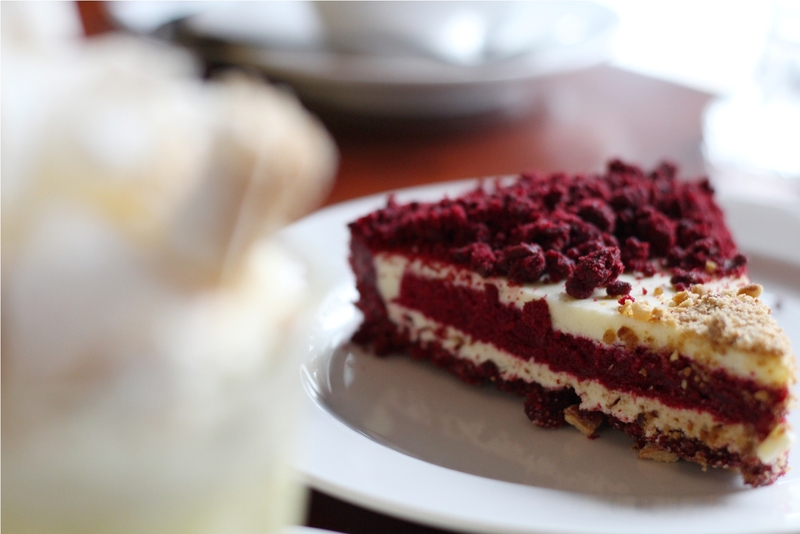 What’s next would be the timeless red velvet pie as the closure. With the smoothly crackling upper crust, crushed nuts, and tasty cream fillings; the pie was an extraordinary adventure if compared with regular RV cake. That’s also the case when you complete the experience with other pies such as the refreshing key lime or the elegant mint chocolate. Many struggle to enjoy it until the last scoop but with what Union Deli has formulated, it’s a no sweat job for everyone. With so much contentment seen from the faces of happy patrons, it may seem that Adhika’s hopes and wishes to make sandwich an exclusive thing on the menu is well on its way. However, I am still hoping that the pastrami fried rice will still be around. Well, it’s not exactly what defines a deli, but still, please don’t take that away from us.